COUNCIL employees are being given counter-terrorism training in a bid to prevent attacks in the Capital. Housing staff and environmental wardens are understood to be among those being sent on courses to learn how to spot signs of terrorist activity. 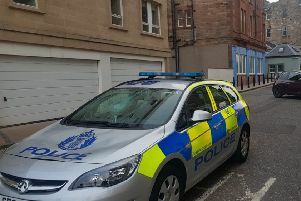 The move comes after bomb-making equipment, including chemicals, ball bearings and bolts, were found by chance in a flat in Muirhouse when firefighters responded to a late-night blaze. A bag of toxic beans which could be used to produce the poison ricin was also found in the property leased by Faris al-Khori, a 62-year-old former doctor from Syria. He is now facing jail after a court appearance last month when he admitted possessing the deadly components. But today opposition councillors criticised the training as “over the top” and said staff such as housing officers should be left to get on with their work, which often involved dealing with vulnerable groups. Housing support staff, whose work includes visiting vulnerable individuals such as the elderly and those with addictions, were told they will receive the training in the next few weeks. They were also told it would include “how to spot suspicious items and go about reporting matters”. An example was being alert for empty bottles. Senior Conservative councillor Jason Rust said: “Support workers and concierge staff have very defined roles and are often dealing with vulnerable or elderly people. There is an element of trust in the working relationship and this will potentially be affected by a ‘Big Brother’ approach. Its work is split into four work streams: Prevent, Pursue, Protect and Prepare. Chief Superintendent Grant Manders, of Police Scotland, said the Prevent aspect of the strategy was about “basic safeguarding”.